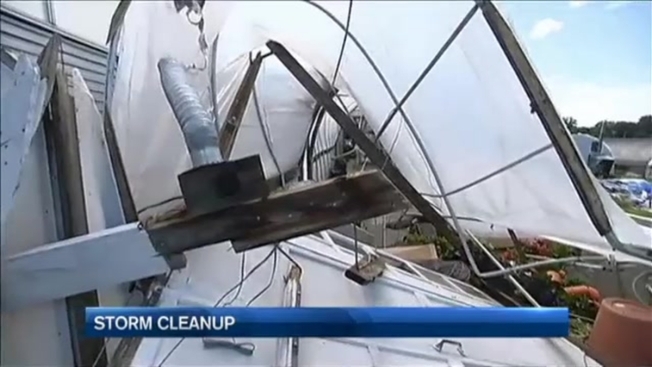 A microburst was confirmed in Plaistow, New Hampshire, amid severe storms that swept the region Monday. The max wind speed was confirmed at 80-90 mph, according to the National Weather Service. The microburst was two miles wide and 1.6 miles long. Numerous structures were damages and hundreds of trees were uprooted. Among the damaged buildings includes the historic Goudreault Farm. If you wish to donate, you can send donations to Goudreault Farm, 82 Newton Road, Plaistow, NH 03865.